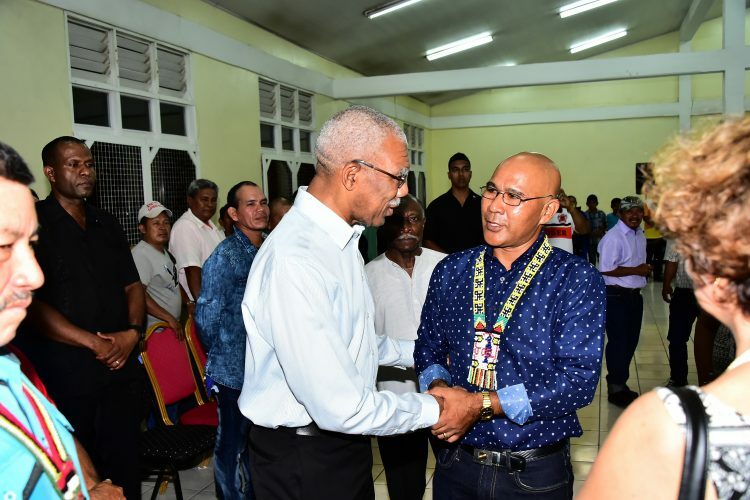 Chairman of the National Toshaos Council (NTC), Joel Fredericks says that the Council is grateful to President David Granger and the administration for the independence and respect they have afforded it in the management of its affairs. According to a Ministry of the Presidency release, Fredericks said that this is the first time that a Government has allowed the NTC to function as it should and make its own decisions and he committed to ensuring that the NTC and its members work with the Government to brainstorm solutions for the issues raised. 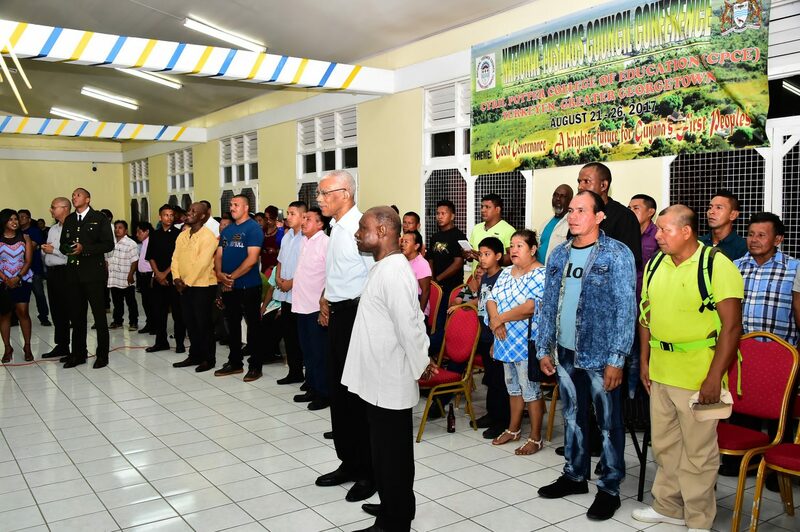 Fredericks made the remarks on Saturday evening at a reception for the Executives of the NTC hosted by President David Granger. “On behalf of the National Toshaos Council, I would like to extend a heartfelt thanks to President Granger and his Government for supporting the NTC over the six days. It was six days of hard work; we documented the issues and we will work with your Government to help address the issues and needs of the indigenous peoples of this country. Tonight is history because this is the first time in Guyana that the Government, past and present, has given the NTC the space to operate freely. Let us talk about issues. We will bring the issues to you and we will stretch our ideas and mind to try to fix them. Let us work together,” he said. The reception, which was held at the Cyril Potter College of Education, saw the presence of the acting Prime Minister and Minister of Foreign Affairs, Carl Greenidge; Minister of Finance, Winston Jordan; Minister of Indigenous Peoples’ Affairs, Sydney Allicock; Minister within the Ministry of Indigenous Peoples’ Affairs, Valerie Garrido-Lowe; Minister within the Ministry of Natural Resources, Simona Broomes, members of the diplomatic corps, heads of government agencies and members of civil society.